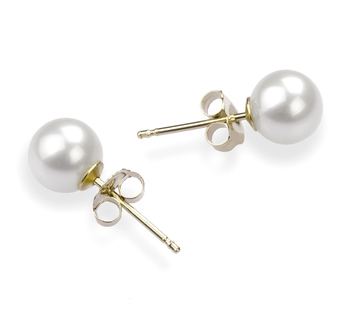 Attractive and precious in the most refined and simple way, the Oana 10-10.5mm White Freshwater Cultured Pearl is absolutely dreamy and wonderful. 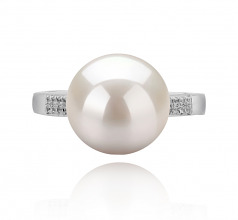 This White Pearl Ring confirms that simplicity is the ultimate form of sophistication. 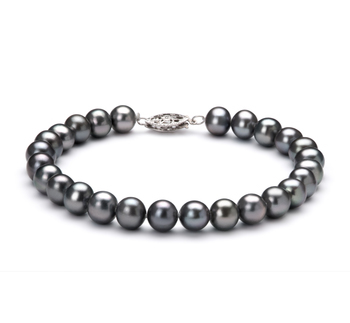 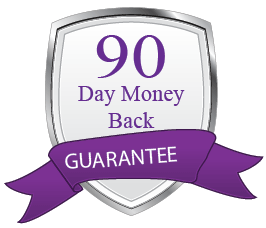 The splendid AAAA quality can be seen in its beautiful luster, shape, body and overall grade. 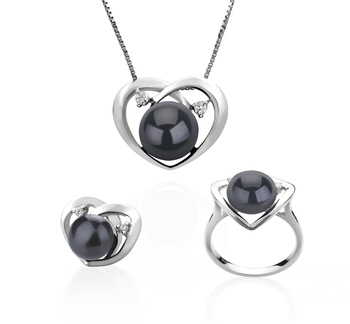 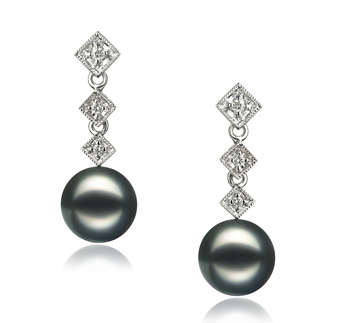 Accents of cubic zirconia placed on each side of the white pearl make the overall design even more delightful. 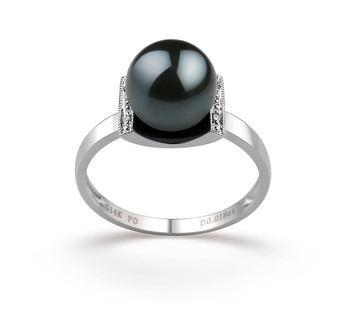 The large 10-10.5mm pearl size is bold but feminine and it makes it a veritable statement ring. 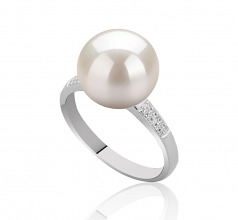 Once you slide it on your finger, you will feel like a true diva with this show-stopper white pearl ring. 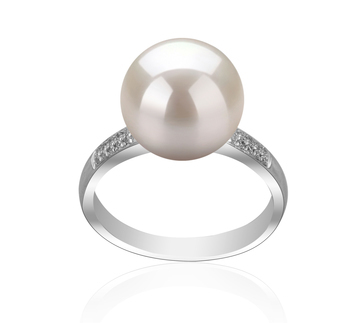 Handcrafted to perfection with brilliant gem stones set in a modern sterling silver design, the Oana White Freshwater Pearl Ring is appropriate for special occasions such as anniversaries, wedding parties, charity events or balls. 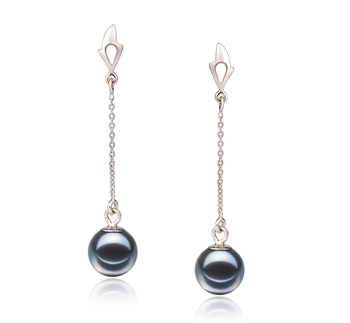 Pair it with a set of elegant and simple pearl earrings, a fuchsia long dress with ruffles, heeled sandals and you will obtain a glamorous cover-girl inspired look. 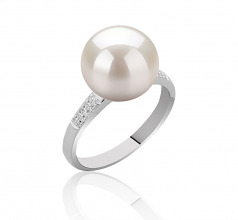 Show only for "Oana Ring"